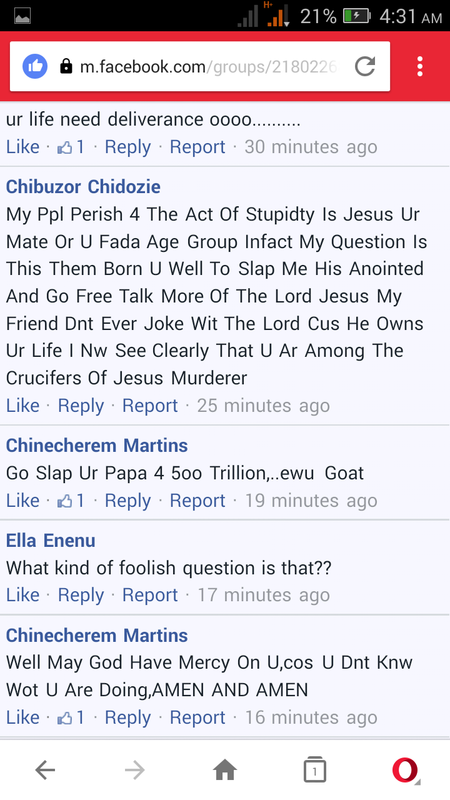 A Facebook user who as been identified as Solomon Eze which according to his Facebook profile, he is just a minor and a victim of social media. 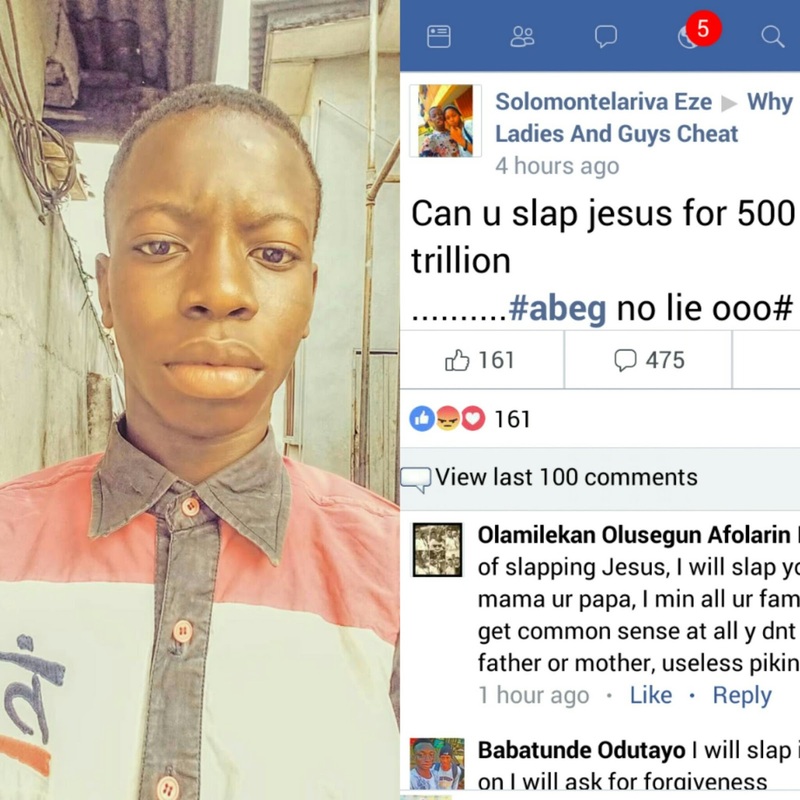 The young boy who shared on his Facebook an insane question to a group popularly known as "why ladies and guys cheat". 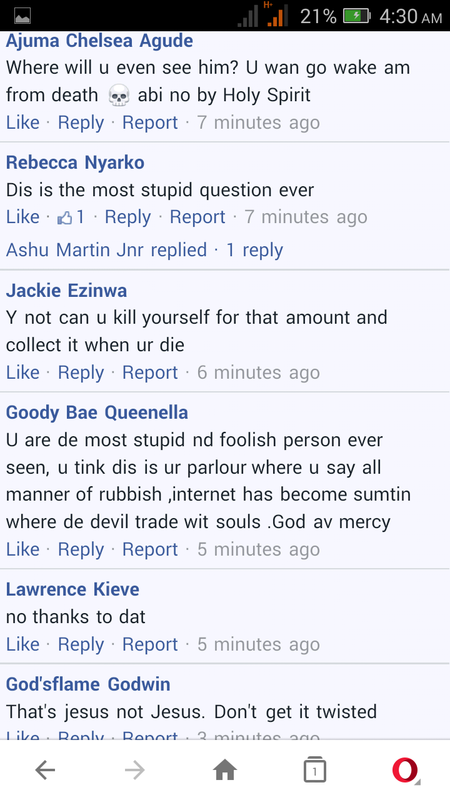 See the question and comments below..